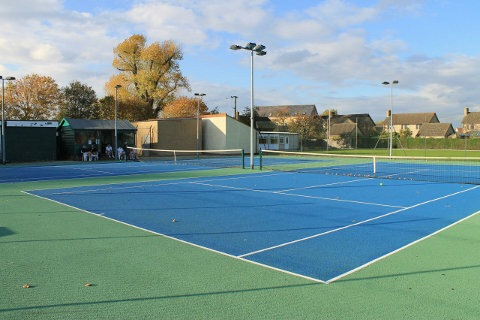 Our two floodlit hard courts are maintained to a high standard. We play all year round and members have been known to sweep the snow off the courts in order to have a game! The picture above was taken during a tea break on a late October club afternoon. We don't spend all our time sitting down in front of the clubhouse so come along and join in even if you were looking for a tennis club rather than a tea society!